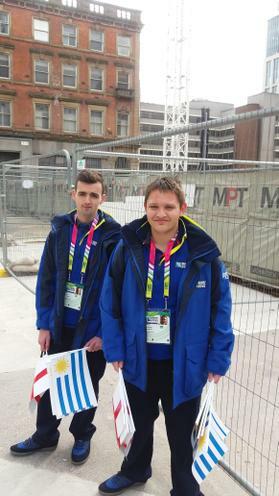 Congratulations to former pupils Michael and Sam who took part in The Rugby World Cup 2015 as part of The Pack volunteering programme in Manchester on Saturday 10th October for the England vs Uruguay game. Well done both, we are really proud of you. Mr Keefe also took part in the experience.